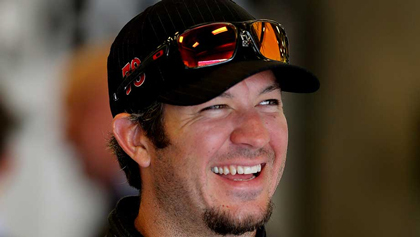 NASCAR Race Mom: Meet #NASCAR Sprint Car Chase Driver Martin Truex Jr.
Outlook: Truex has undoubtedly had one of his best seasons to date, but hasn’t had great success at the two tracks the Chase contenders will be racing at first (Chicagoland and New Hampshire) with his average finish at both being outside the top 10. Chase history: Two previous appearances (2007, 2011), both times finishing 11th. Best Chase track: Dover, with one win and nine top-10 finishes in 19 starts. Worst Chase track: Martinsville, with an average finish of 22.2 and five top 10s in 19 races.